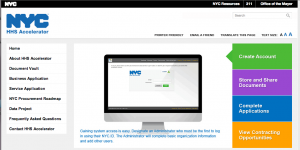 The City of New York spends billions each year to procures services from the private sector. Studio28 worked with the HRA Legal Affairs department to provide detailed analysis of their procurement and contracting process in preparation for the development of a new contract management system. HRA is the city’s Department of Social Services, providing assistance to more than 3 million New Yorkers, including temporary cash assistance, public health insurance, food stamps, home care for seniors and the like. Over a six month period, Studio28 was “embedded” in the Human Resources Administration Department of Contracts. Working closely with senior agency and IT managers, Studio28 conducted one-on-one interviews and held group requirements gathering sessions with over three dozen administrative analysts. They specialize in administering Requests for Proposal (RFP’s) and managing relationships with the private sector contractors who provide services to NYC residents. √ A high-level overview of the procurement process which allowed management to gain a clear understanding how the process works, and served as a starting point to target areas for improvement. To the left is a high level overview we created. √ A detailed breakdown of each step in the workflow gave decision-makers insight into the specific tasks and steps which could be eliminated or combined while remaining in compliance NYC procurement policy. √ Our cost/benefit analysis, highlighting the long-term savings the City would gain after the one-time investment in a replacement system, was incorporated into the Federal grant proposal seeking to fund it. √ Created organizational chart of the Office of Contracts personnel, revised over 60 job descriptions and wrote detailed unit descriptions approved by management and submitted for union review This helped prepare the department for a complex change management effort in a highly unionized environment. Though we did not participate directly in its technical development, Studio28’s business process analysis contributed to NYC’s effort to modernize vendor relationship management and the procurement of human services. Studio28 led process documentation and requirements gathering by facilitating group and individual interviews of stakeholders at all levels and participating in JAD sessions with key stakeholders and developers. 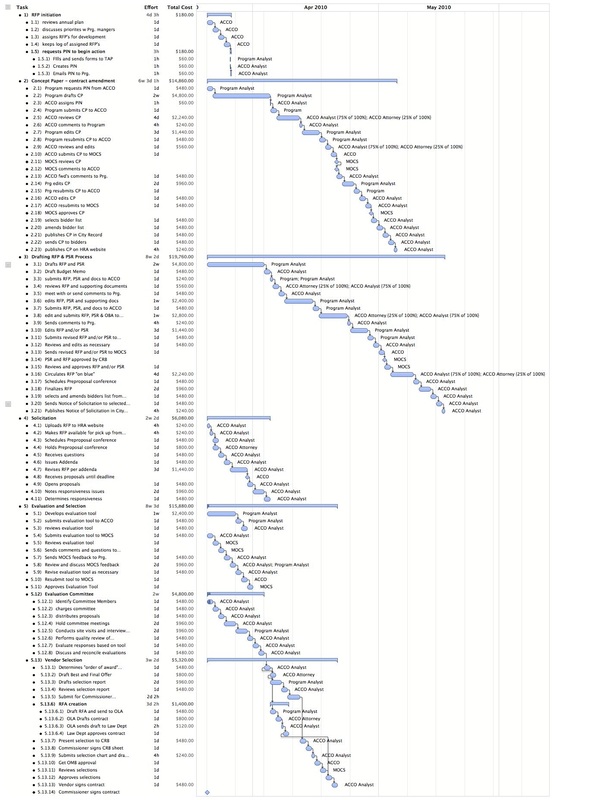 Prepared functional decomposition breakdown of current state RFP process (including cost estimate by resource) along with a cost-benefit analysis of a potential new system. 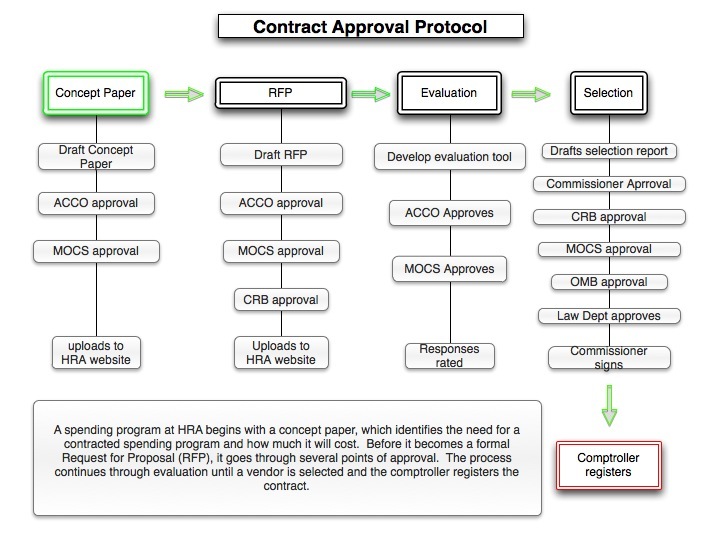 Studio28 prepared the Gantt type of chart below to illustrate the contract approval process timeline, actors and associated costs.